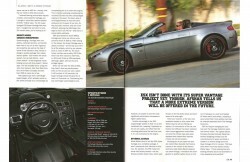 In late 2008, The Vantage Collection collaborated with ESX Motorsports and their Super Vantage for Modified Luxury & Exotics magazine. 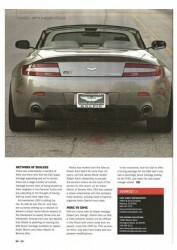 The Super Vantage showcased several of The Vantage Collection products, including the Carbon Fiber Mirrors, Carbon Fiber door sills and the V2 Carbon Fiber Diffuser. 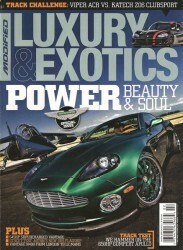 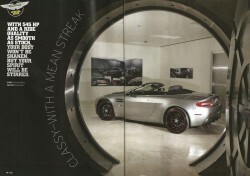 The magazine article was shot at the amazing ‘Club Aston’ showroom at Galpin Aston martin dealership.